Did you ever wonder which brand of batteries actually last the longest? This guy decided to test out a few popular brands, and the results are pretty interesting. 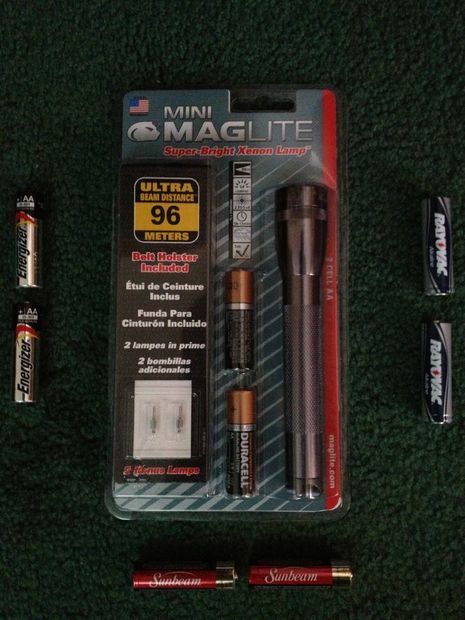 To test the comparative endurance of the four battery brands under study, I used four Mini Maglite xenon lamp flashlights purchased from Walmart on the same day. As for batteries, I bought an eight pack of Energizer AA batteries, an eight pack of Rayovac AA batteries, and a four pack of Sunbeam dollar store AA batteries. The flashlights came with Duracell, so I used those batteries for the Duracell test. I did, however, find a price for a Duracell eight pack in order to compare prices more effectively in the conclusion. As hypothesized, the dollar store brand was the first to die, and contrary to the hypothesis, Rayovac lasted the longest shining time, beating Duracell by only a couple of minutes. Dividing the price of two batteries by the time during which they provided power gets the price per hour of battery power. 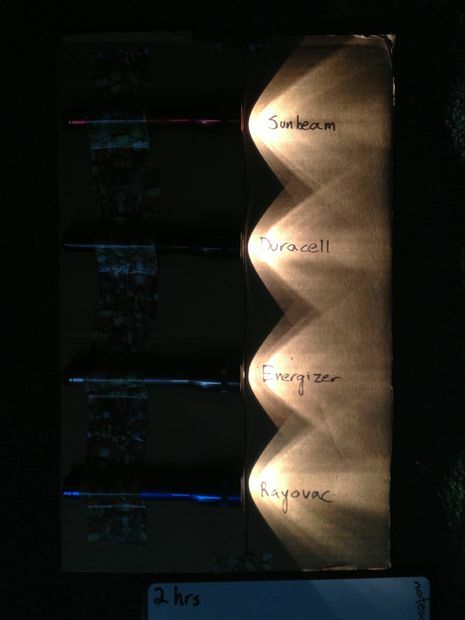 Based on these results, Sunbeam batteries provide the most power for their price. However, as they provide power for the shortest time, the necessity of frequent battery changes may decrease the value of the batteries in terms of convenience. I would argue that Rayovacs are the best buy because they provide power for the longest time with a comparitively low price, even if they only come in second on the price/power lineup.